Baked Tilapia Topped With Cherry Tomatoes And Chick Peas | Cooking With Mr. C.
Dip tilapia in egg and then in bread crumbs. In a coated ( a drop of olive oil) baking pan, put tilapia slices. Bake in oven for about 20 minutes. While tilapia is baking, get a large bowl. In a large bowl, add tomatoes. 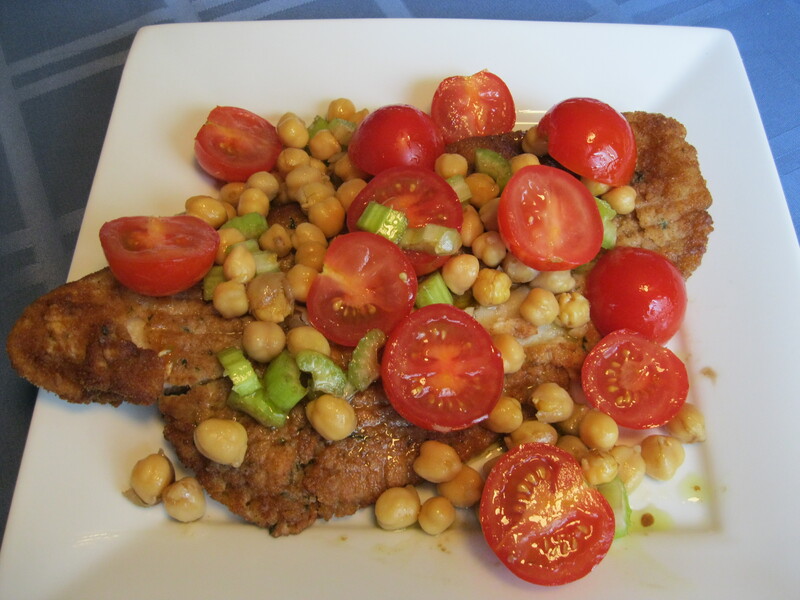 chick peas, celery, garlic, 2 tbsp. of olive oil, sprinkle sea salt and black pepper. Mix well. About 3 minutes before tilapia is done, pour tomato mixture on top of fish and return to oven. Let stay in oven for 3 minutes. Serve hot. Terrific seafood dinners on here.